Online casino software makes all the difference between a bad gaming experience and a great one. Many online casino software companies popped up during the internet gaming boom that began in the 1990s and continues to grow to this day. When looking at online casino software there are many different aspects to explore. It can be helpful to know a bit about the company’s background. The games they offer is often one of the primary concerns for players, as well as the countries they service. After the introduction of the Unlawful Internet Gambling Enforcement Act in 2006, several online casino software companies started blocking players who reside in the United States. However there are still software providers that still cater to US gamblers. We’ll start by taking a look at the online casino software providers that welcome players from the US and around the world. One of the biggest of these firms is Realtime Gaming. Realtime Gaming is based in Curacao, an island in the Netherlands Antilles. RTG developed the Real-Series slots which power more than 75 different casino sites. TopGame is a relative upstart in terms of online casino software companies. There are more than 20 casino sites, using TopGame’s casino platform. TopGame isn’t big enough yet to compete with the likes of RTG. However, Rival Gaming is, as its name suggests, a worthy rival. Rival offers multi-lingual online casino software and they are highly regarded for their slot machines, which feature interesting themes and compelling, high-quality graphics. Many of the longest-standing online casino software providers stopped accepting US players after the passing of the UIEGA. As publicly traded companies, they did not want to run the risk of any potential legal repercussions from facilitating financial transactions for US customers. The biggest and one of the longest running online casino software providers is UK’s Microgaming. Established in 1994, Microgaming has more than 200 casino clients in multiple languages. Their progressive slots machine jackpots are wold record holders for the best payouts and they offer more than 300 casino games for download and instant-play. Irish-based online casino software developer, Cryptologic, comes close as they offer more than 280 games. Their innovative software features multi-player games, 3D and live dealer games and other features that are extremely popular with players. IGT (International Game Technology) is widely known for offering Wheel of Fortune Slots, the most popular progressive slot machine of all time. Other popular licensed games available via IGT are Monopoly and Jeopardy Slots. Microgaming’s main online casino software competitor is Playtech. Playtech supplies games to online and land-based casinos alike. They are a huge player in the online casino software industry and are based in the United Kingdom. 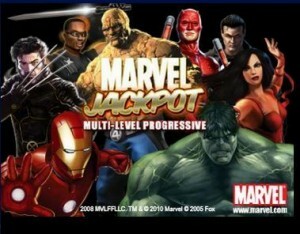 Playtech supplies the immensely popular Marvel games series of slot machines, which have attracted a massive amount of players worldwide. Smaller, yet still very notable, online casino software providers include Aristocrat, NetEnt, and Wizard Gaming. Artistocrat primarily supplies games in New Zealand, Australia, South Africa, the UK, Macau, Sweden, and Japan. NetEnt is focused more on bingo and skill games. Therefore, they tend to be used in conjunction with other software providers. And finally, Wizard Gaming primarily remains a favorite among players who enjoy a highly entertaining slots experience.